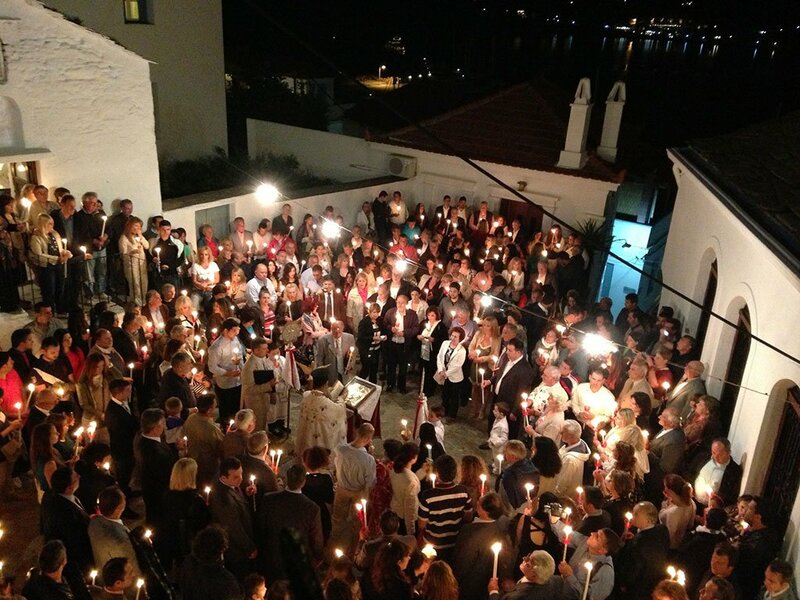 Easter is by itself a religiously unique experience, but in Greece it emerges as an amazing combination of traditions, spirituality, nature and gastronomy each and every year. It’s basically a much more glamorous holiday in the country and far more anticipated by both children and adults even than Christmas due to its linkage to a much hotter weather; a clear leeway to summer and to the fact that it’s not just celebrated for a week as one would expect. 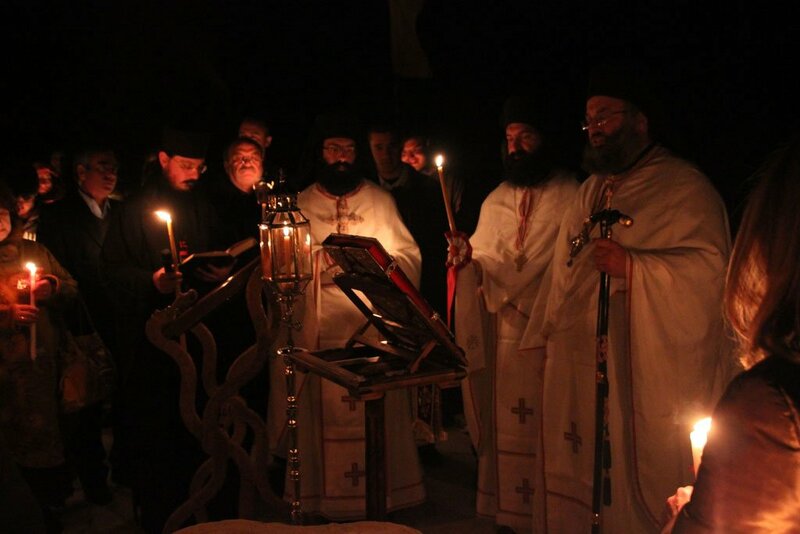 Many unique traditions around it can be found at various places across Greece; traditions that date back in time, even before Christ was born. First of all, every single church in Greece has its own Epitaph; a representation of Christ’s resting after crucifixion. In many situations they meet at certain points. 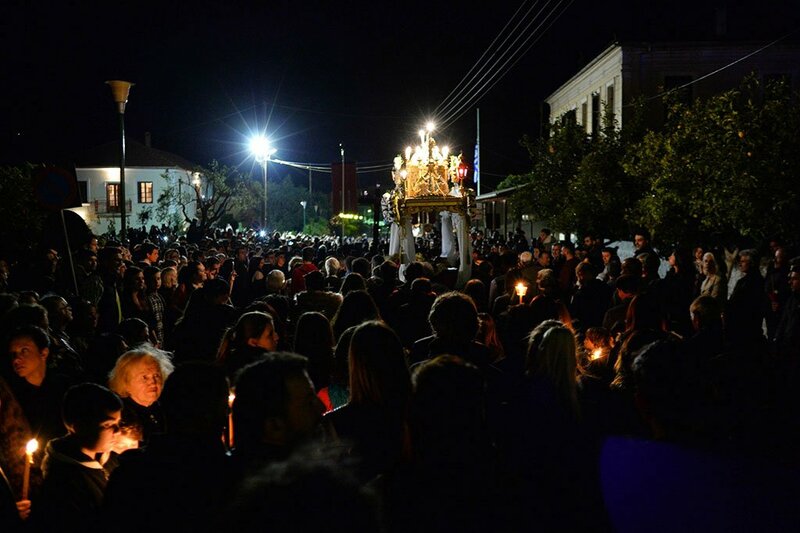 People take part in a mystic atmosphere on Good Friday. 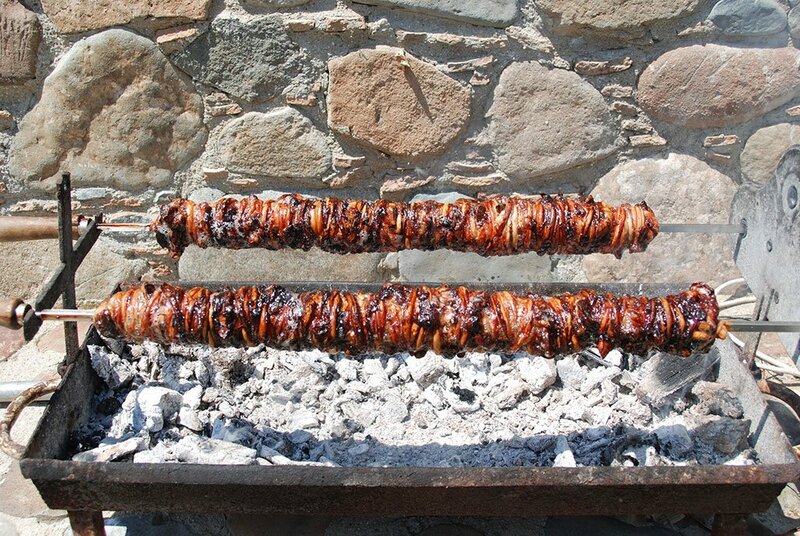 Then, on Easter Saturday everybody eats something light during the day and before midnight people gather in church holding white candles to receive the Holy Light that arrives from Christ’s grave in Jerusalem. The Resurrection is celebrated at 00:00 sharp, with bells ringing and tons of fireworks and firecrackers thrown up in the air. Right after that, everybody rushes back home to have dinner with family and crack red colored eggs. The traditional recipe is called “magiritsa”, which is basically a soup made of lettuce, lamb meat and intestines. It’s rightfully the end of a 40-day period of fasting for many Greeks. 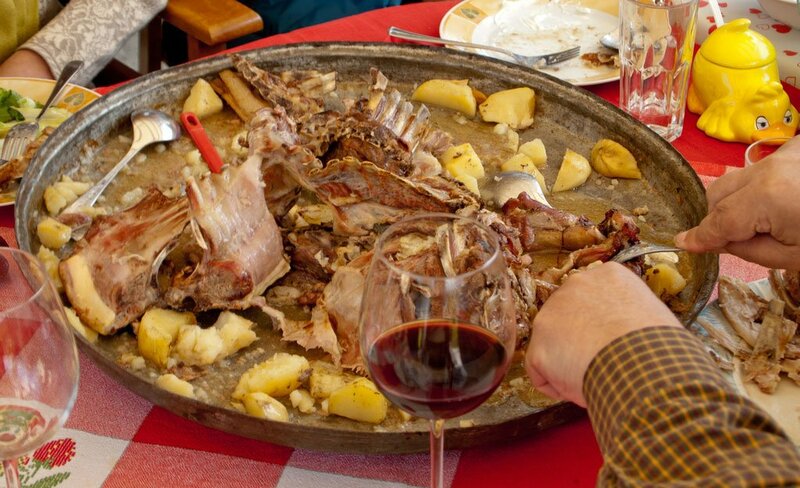 And it continues right through the next day when lamb keeps its front seat in people’s culinary choices, being the main dish on Easter Sunday, cooked on the spit for over 5 hours. Part of the fun is to manually turn the spit, instead of using a motor with everybody taking patiently his or her turn. As far as some special customs are concerned, they keep people’s interest for a long time. 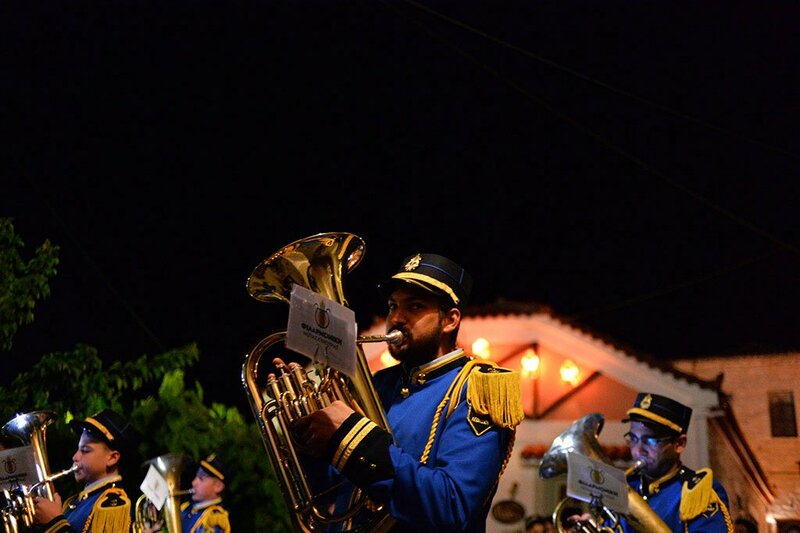 On the island of Corfu, people throw pots made of clay from their windows or balconies on Easter midnight celebrating the Resurrection of Christ. 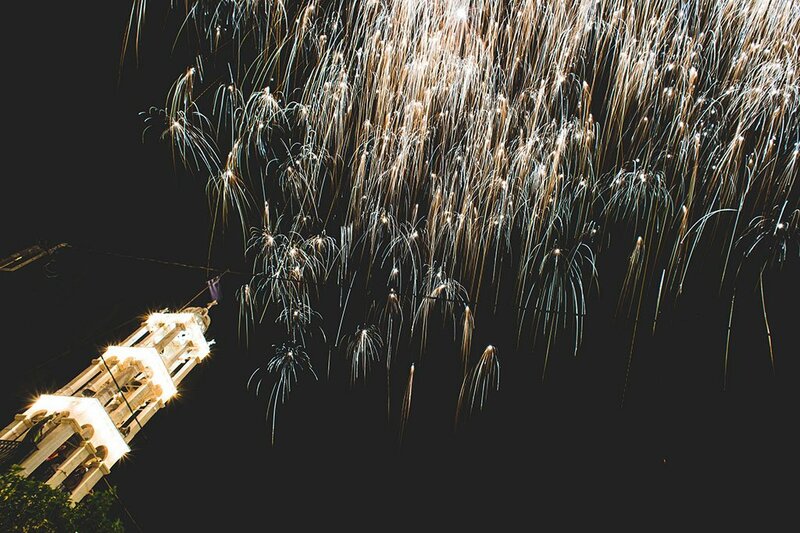 While in Chios a battle of fireworks takes place between two rival churches every year. In Leonidio people make special balloons lit with the Holy Light, that are released in the air, again at midnight, while in many places a representation of Judas is made of wood and straw then filled with explosives before it gets set on fire.